These poles are burly and comfortable and feature a unique teardrop shaped design to add strength to the shaft. The shafts, as well as the Flick Lock closure system, make these one of the most durable poles in the market. If you are a larger persona and would like poles that will go the length of time then these are the ones for you. 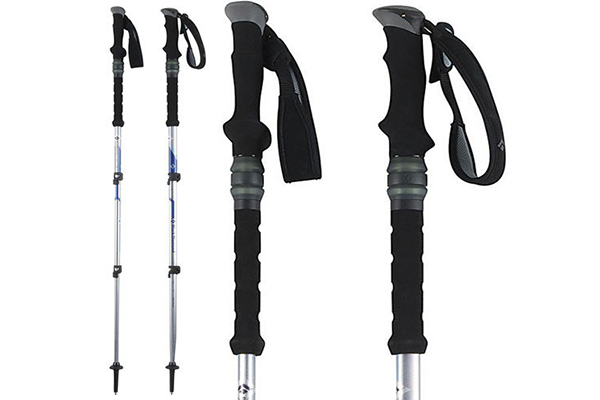 They also had the most comfortable non-cork grip and are one of the plushest poles we to walk with. Having used these over different terrain variables such as mud, shale, scree and gravel I have found them to be adaptable to the differing materials. 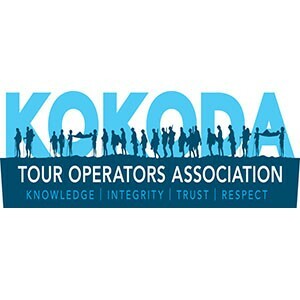 The standard set up is perfect for the kokoda environment of mud mud and more mud. Additional extras can be purchased on line to adapt these poles to a rocky environment. The down side is they aren’t cheap and a little on the heavier side, but you get what you pay for and you get what you carry. If you care about weight, the Black Diamond Alpine Carbon Cord is a great option. While the Elliptic Shock is a great pole the Leki Corklite Aergon Antishock Speedlock is another option if Black Diamond isn’t your brand of choice. Offering damp and progressive 4-stage shock absorption, Control Shock Technology handles hard compressions without bottoming out jarring your hand and controls the rebound for a smooth and comfortable feel and no bouncing. The dampeners beneath the grip are what provide controlled but responsive spring rates including the light strikes to heavy downhill plants. Rebound control located within the grip prevents ineffective and annoying pogoing something which many other pole manufactures are yet to achieve. The additional drop down grip length allows you to quickly adjust your pole length with out stopping and delaying the group.